I've read just over half a dozen Desmond Cory novels since I first came across the somewhat overlooked thriller writer four years ago – largely entries in his Johnny Fedora spy series – and while I've enjoyed all of them, none have been quite up there with the first Cory I read, the beautifully written, curiously languid Undertow (the twelfth Fedora instalment, and the first in the Feramantov quintet). 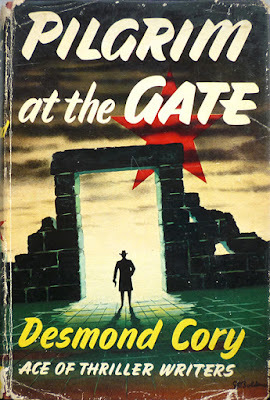 The early Corys I've tried – Secret Ministry (1951), Intrigue (1954) – have been pacy enough (almost madcap in the case of Secret Ministry), while the later ones – Hammerhead (1963), Feramontov (1966) – have been dense and quite compelling... but they haven't been Undertow – by definition, obviously, but also in terms of literary accomplishment. 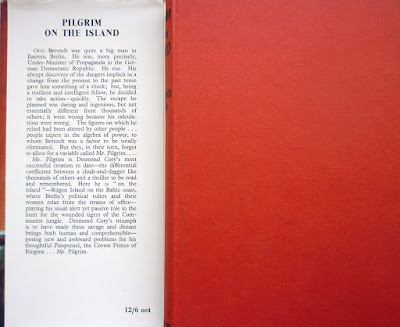 And then I read the two novels featuring lesser known Cory protagonist Mr. Pilgrim: Pilgrim at the Gate (Muller, 1958) and Pilgrim on the Island (Muller, 1959). 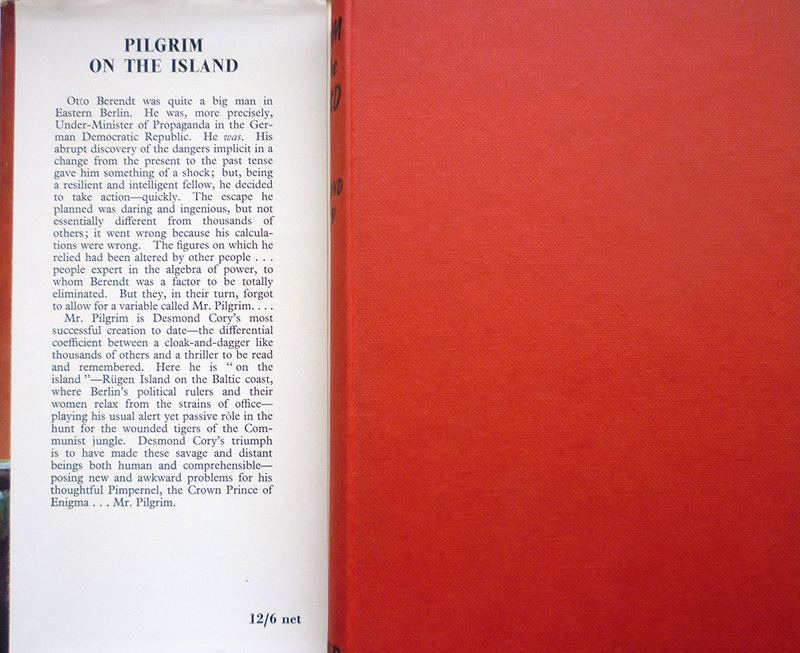 I'd been wanting to try them for a while and actually laid my hands on a very nice, inexpensive first edition of Pilgrim on the Island three years ago, but Pilgrim at the Gate proved rather more elusive in first (as is frequently the case with Cory novels) – until last year fellow Cory enthusiast Chris Hiscocks pointed me in the direction of a cheap ex-library copy in Australia. 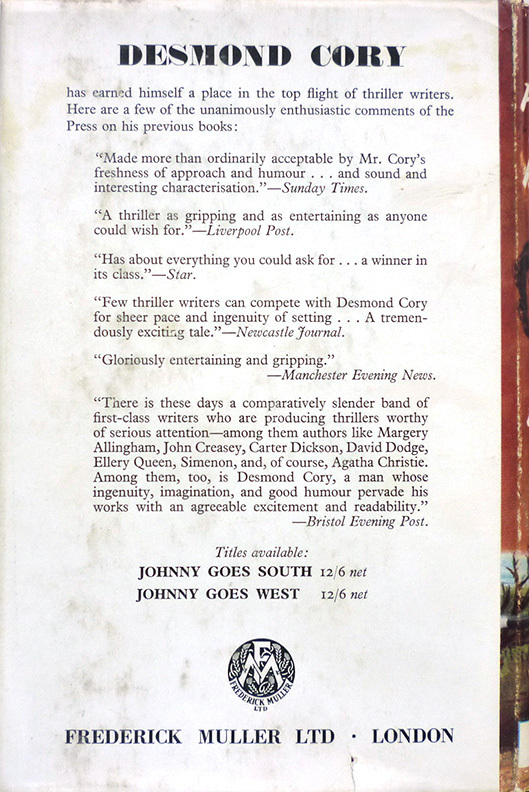 The copy in question is actually a Shakespeare Head edition – the Australian publishing arm of Frederick Muller – and is missing its front endpaper, but crucially it does still have its splendid S. R. Boldero-designed dust jacket (which has taken its place in Beautiful British Book Jacket Design of the 1950s and 1960s, alongside Boldero's jacket for Pilgrim on the Island). 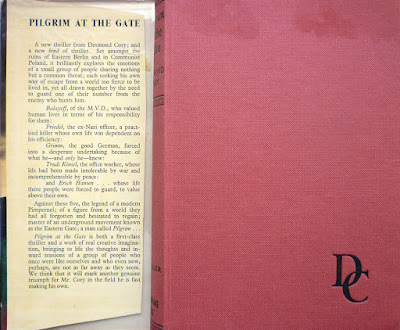 For the uninitiated – which I imagine will be most people reading this post – Mr. Pilgrim is a kind of postwar Scarlet Pimpernel, except that rather than smuggling aristocrats out of France he spirits defectors out of East Germany. Or at least that's his stated MO; in fact in the first book, Pilgrim at the Gate, he has a more vengeful purpose in mind in that he's really hunting former Nazis hiding out in the East, appropriating a West Berlin travel agency set up by Nazi war criminal Egon Hoffman, Pilgrim Tours (the name being "A quaint coincidence," as Pilgrim puts it shortly before killing Hoffman) in order to facilitate this highly personal mission (Pilgrim is a concentration camp survivor). "Innocence demands a closed system; demands laws it doesn't have to question. Communism is an excellent answer. Or Catholicism. Or Nazism. That's the whole point. You can accept any of these, if you accept innocence as the inevitable lot of mankind." "Wouldn't a better word be... ignorance?" "Oh no. Ignorance is merely lack of knowledge. But innocence implies the acceptance of a belief to the exclusion of all others; it's a lack of understanding." Trudy took a deep breath. "The alternative, though, is not to believe in anything. To treat life purely as a question." "Life is a question," said Mr. Pilgrim. "Innocence won't accept that awful fact. And that's why innocence is dangerous." "Communism will succeed, though, in spite of everything you and your friends can do." Mr. Pilgrim shrugged. "We're not so important as you suppose. Communism will succeed if the people find it satisfactory; and if they don't, it won't." "They do find it satisfactory." "I'm one of them," said Mr. Pilgrim. "And I don't." Just as compelling are the political manoeuvrings Berendt becomes embroiled in as his opponents move against him – one extended sequence in a Committee meeting where Berendt realises the game is up is utterly gripping – and the practical manoeuvrings Mr. Pilgrim engages in as he tries to spirit Berendt away – whilst also simultaneously using him to identify the instigators of the coup. That the thing culminates in a Mexican standoff, with subterfuges uncovered, motives laid bare and guns pointed, is merely the delicious icing on what is by any standards an excellent – and lovingly baked – slice of espionage. 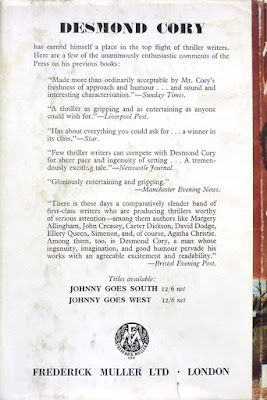 Linked in Patricia Abbott's Friday's Forgotten Books round-up, 5/2/16. 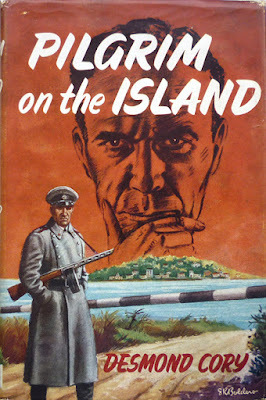 He must be one of the first fictional Nazi hunters.